The civil rights drama "Selma" took home top film honors, while ABC's Black-ish and How to Get Away With Murder won top television awards at The 46th annual NAACP Image Awards. "We did this movie because we wanted to tell their story — our story," Selma producer Oprah Winfrey said accepting the honor for her film. "Selma," which dramatizes events surrounding the 1965 Alabama voting rights marches led by the Rev. Dr. Martin Luther King, Jr., also captured best actor honors for David Oyelowo, who played King. 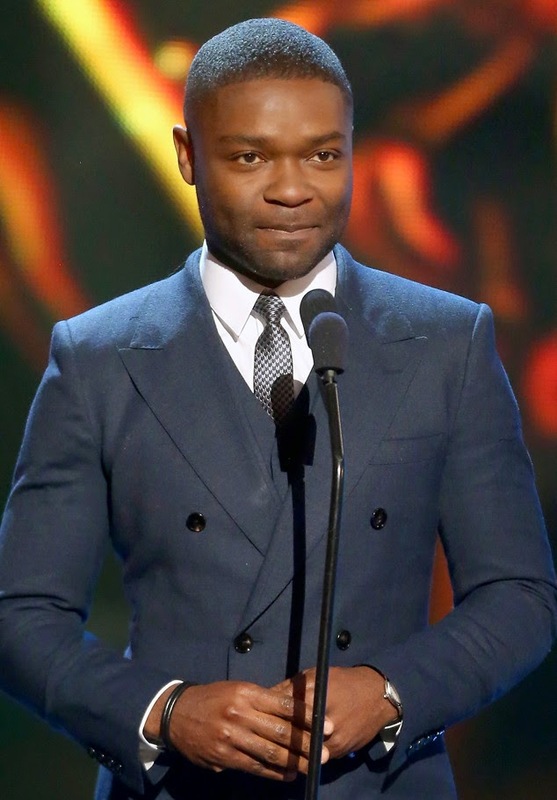 "I want to take this opportunity to say I thank the Lord I was able to play one of the most transcendent human beings who ever walked the planet," Oyelowo said. David Oyetokunbo Oyelowo (born 1 April 1976) is a British actor, who hails from the yoruba tribe in Nigeria. He has played supporting roles in the films Rise of the Planet of the Apes (2011), Middle of Nowhere (2012), Lincoln (2012), and garnered praise for portraying Louis Gaines in The Butler (2013). On television, he played MI5 officer Danny Hunter in the British series Spooks (2002–04), and as of 2014, provided the voice of Imperial Security Bureau agent Kallus on the animated series Star Wars Rebels. In 2014, Oyelowo played Martin Luther King, Jr. in the biographical drama film Selma, for which he received a Golden Globe Award nomination for Best Actor (Drama). He is married to actress Jessica Oyelowo,with whom he has four children. They live in Los Angeles. A devout Christian, Oyelowo stated that he believes God called him to play Rev. Martin Luther King. Reflecting on his portrayal of King in the film Selma, Oyelowo has asserted that “I always knew that in order to play Dr. King, I had to have God flow through me because when you see Dr. King giving those speeches, you see that he is moving in his anointing." The Image Awards aired live on TV One last Friday.